Adam Weaver shouts with his team after they beat the Fort Carson Trojans 21-7 at Liberty High School in Colorado Springs, Colo. on Saturday, Sept. 16, 2017. 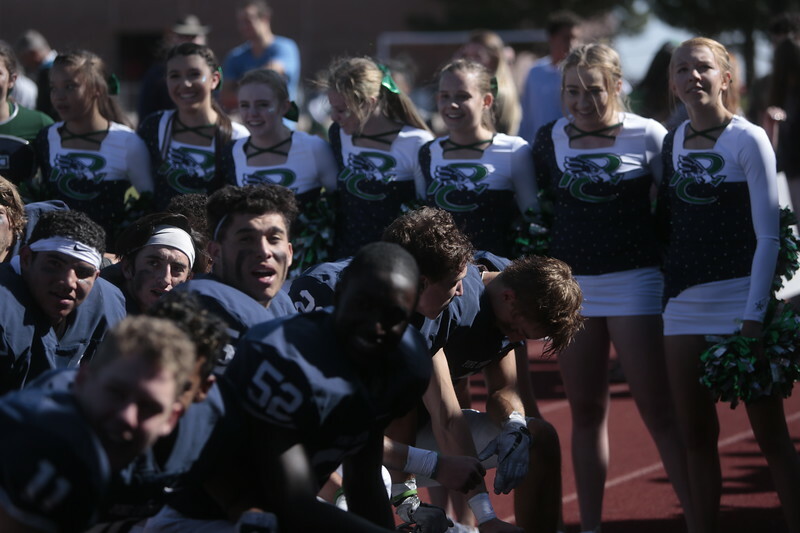 The Pine Creek Eagles huddle on the track for a chant after their victory at Liberty High School in Colorado Springs, Colo. on Saturday, Sept. 16, 2017. 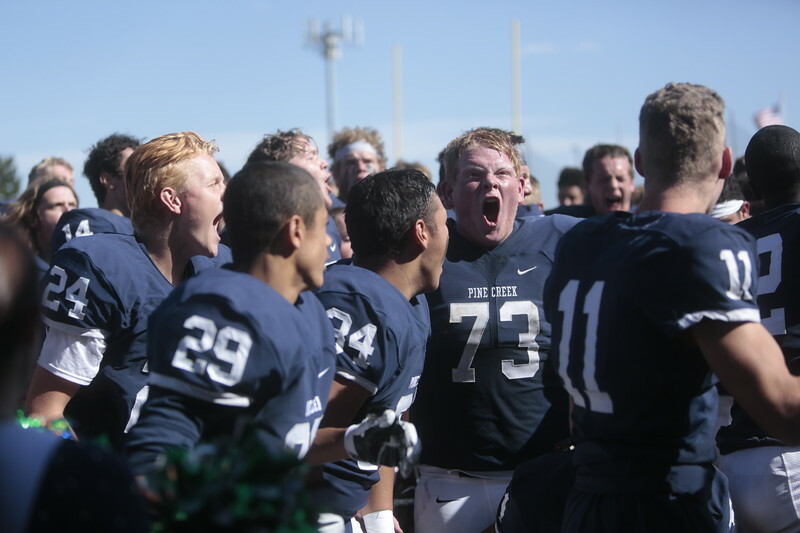 Pine Creek players cheer with their fans after their victory over Fort Carson at Liberty High School in Colorado Springs, Colo. on Saturday, Sept. 16, 2017. 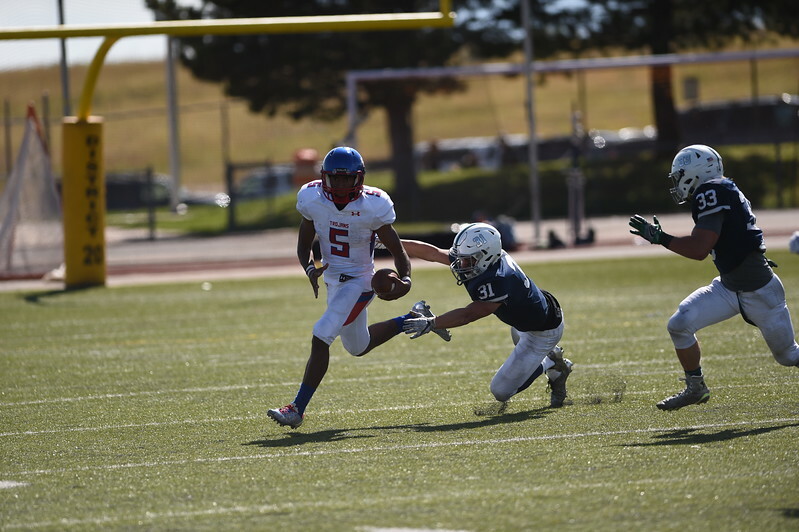 Fort Carson's Gabe Elliott drags two Pine Creek players down the field at Liberty High School in Colorado Springs, Colo. on Saturday, Sept. 16, 2017. 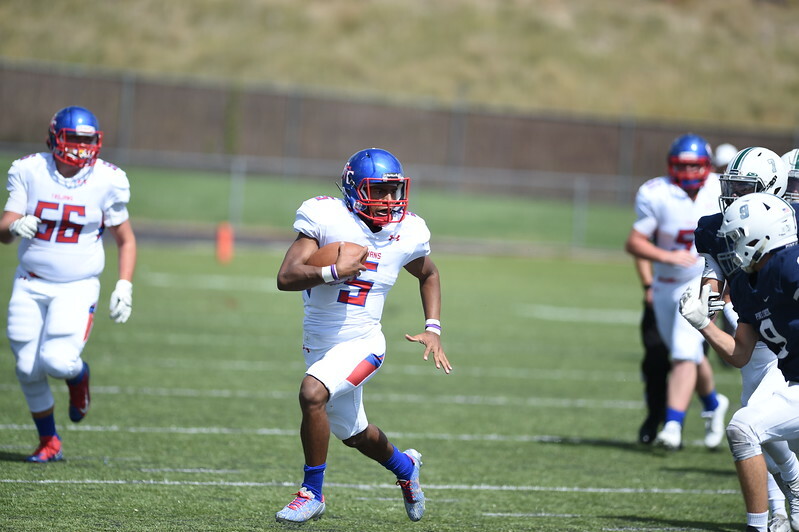 Fort Carson's Eric Donnell tries to juke through Pine Creek players at Liberty High School in Colorado Springs, Colo. on Saturday, Sept. 16, 2017. 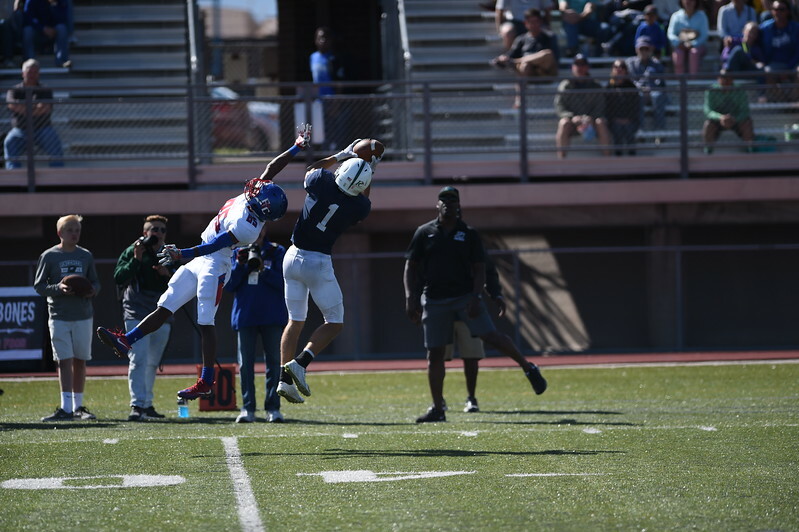 Pine Creek senior Wyatt Wieland intercepts a pass by the Trojan's Eric Donnell at Liberty High School in Colorado Springs, Colo. on Saturday, Sept. 16, 2017. 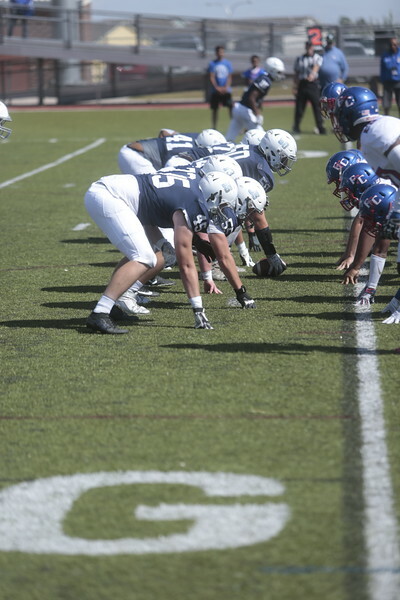 Wieland fumbled the ball while running and the Trojan's recovered possession. 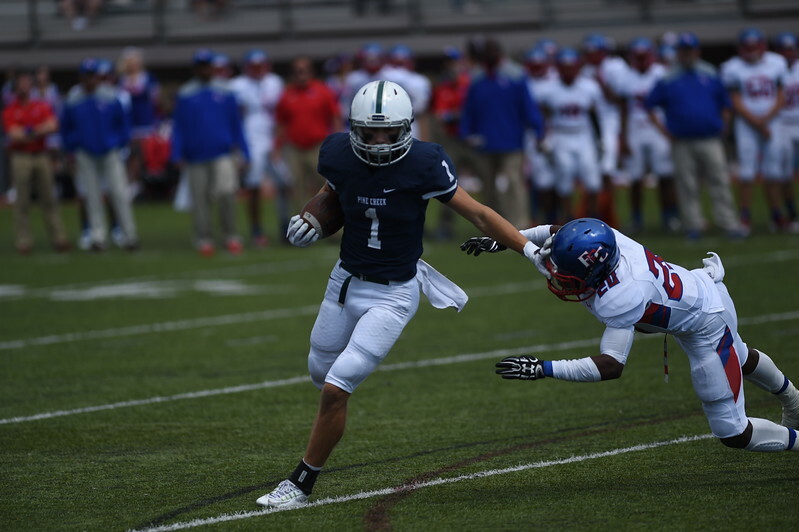 Pine Creek's Wyatt Wieland stiff arms his way past Ahmed Bernard at Liberty High School in Colorado Springs, Colo. on Saturday, Sept. 16, 2017. 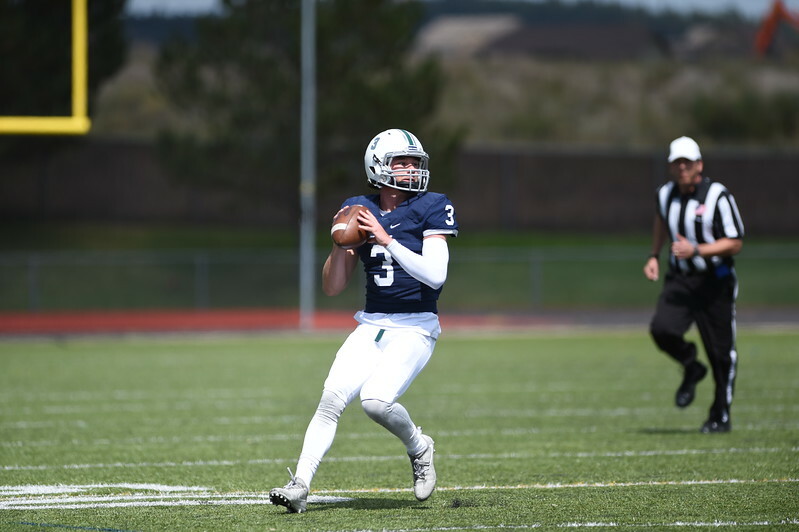 Pine Creek quarterback JC Coulter lines up a pass at Liberty High School in Colorado Springs, Colo. on Saturday, Sept. 16, 2017. 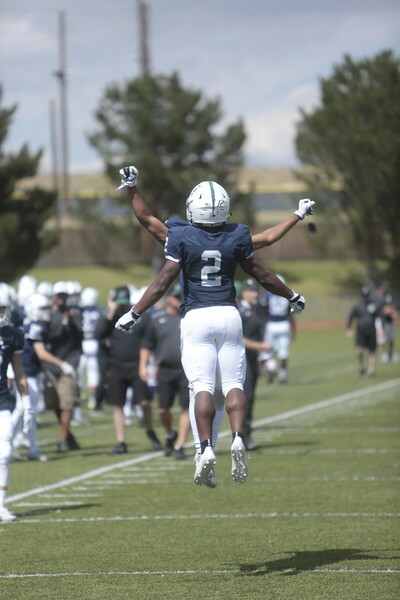 David Moore III chest bumps a teammate after running in a touchdown at Liberty High School in Colorado Springs, Colo. on Saturday, Sept. 16, 2017. 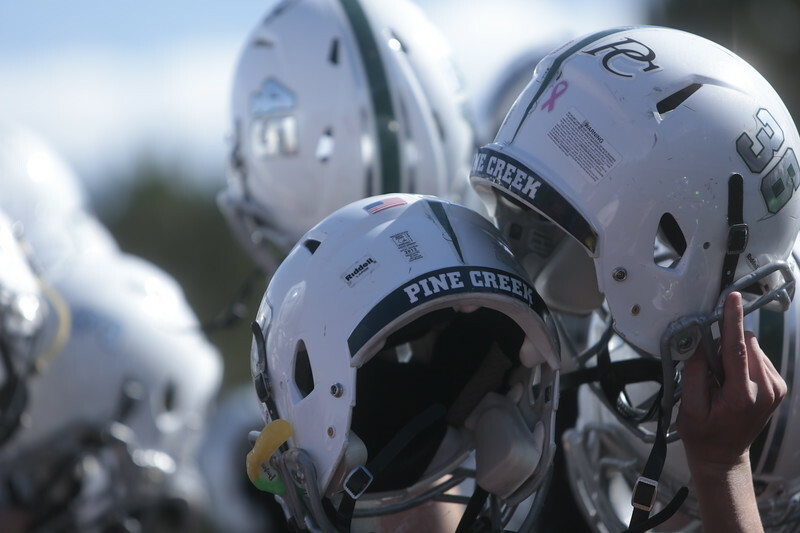 Moore scored all three touchdowns for Pine Creek. 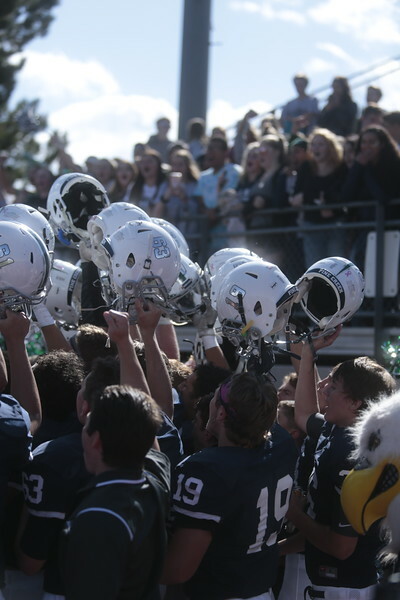 Pine Creek players hoist their helmets in celebration of their victory at Liberty High School in Colorado Springs, Colo. on Saturday, Sept. 16, 2017. 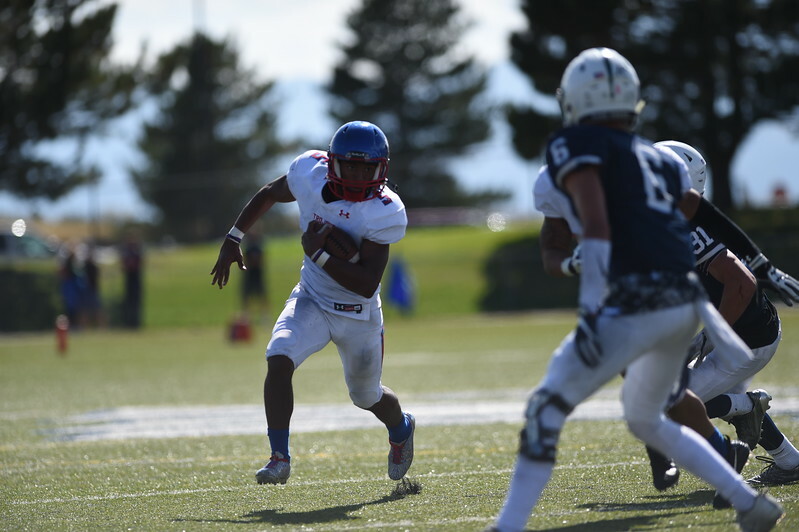 Eric Donnell runs out of the grasp of Rece Rowan and Sam Miller at Liberty High School in Colorado Springs, Colo. on Saturday, Sept. 16, 2017. 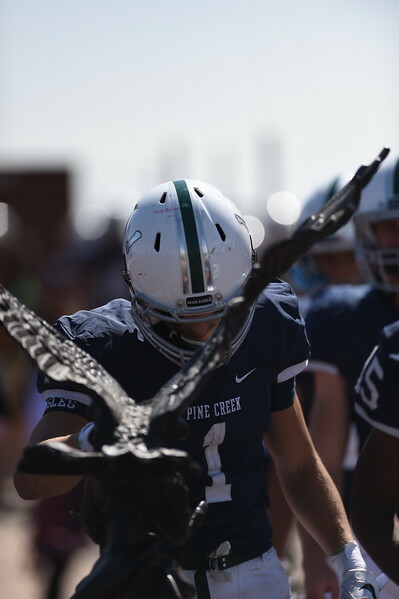 The Pine Creek Eagles beat the Fort Carson Trojans 21-7 at Liberty High School in Colorado Springs, Colo. on Saturday, Sept. 16, 2017. 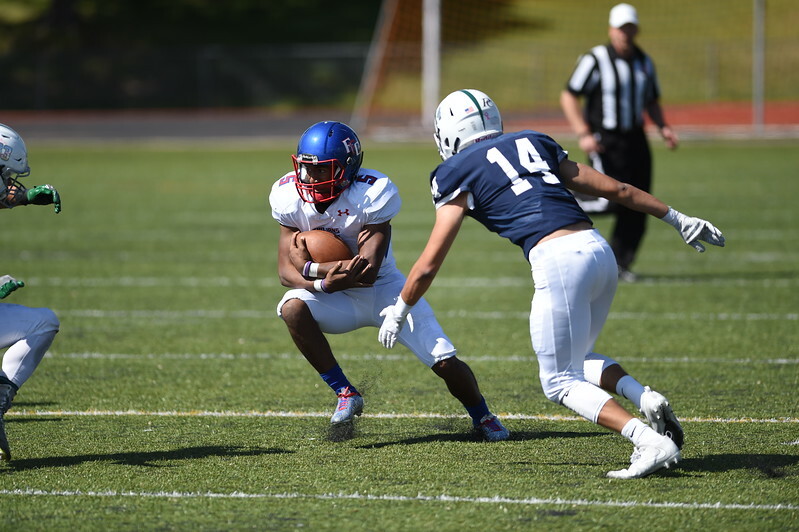 Eric Donnell avoids Pine Creek players at Liberty High School in Colorado Springs, Colo. on Saturday, Sept. 16, 2017. Wyatt Wieland bends his head to an eagle statue brought out to the field at Liberty High School in Colorado Springs, Colo. on Saturday, Sept. 16, 2017. 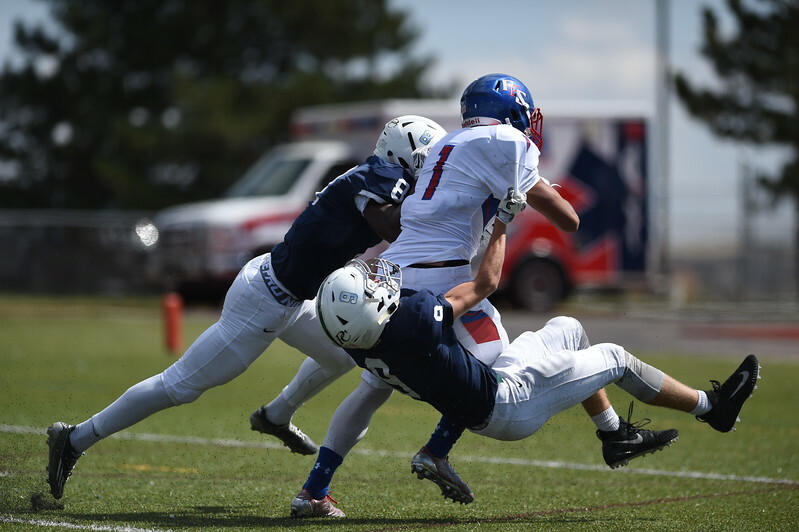 Eric Donnell dodges Pine Creek players at Liberty High School in Colorado Springs, Colo. on Saturday, Sept. 16, 2017.